The FLTA Awards for Excellence were launched to ‘encourage and reward examples of excellence throughout the forklift truck industry and beyond’, so we’re absolutely thrilled to have been nominated for this prestigious award. The Ergonomics Award ‘recognises those companies striving to keep operators and equipment working in perfect harmony’, and our EO truck has been recognised as one of the best examples of those driving the way for safe and productive operations. 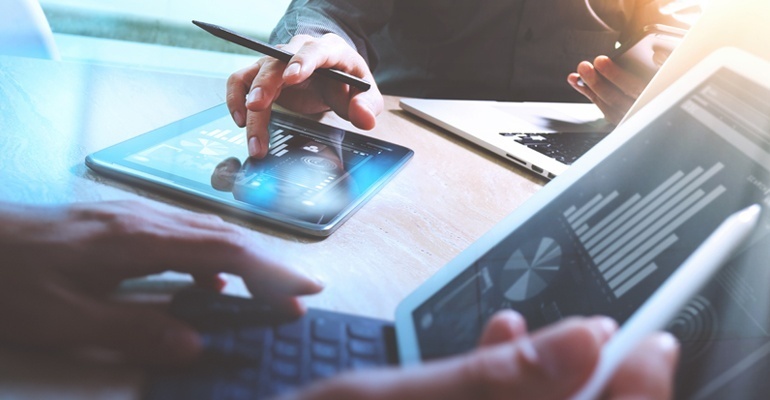 The Picker EO Series has been designed solely with the operator in mind and includes features that not only improve comfort for the operator, but increase their efficiency, which in turn improves business efficiency. Order picking is an incredibly labour-intensive operation and one that costs businesses a substantial amount in both equipment and operational costs, so it pays to ensure that the truck you choose is capable of handling day-to-day tasks whilst maximising operator productivity. 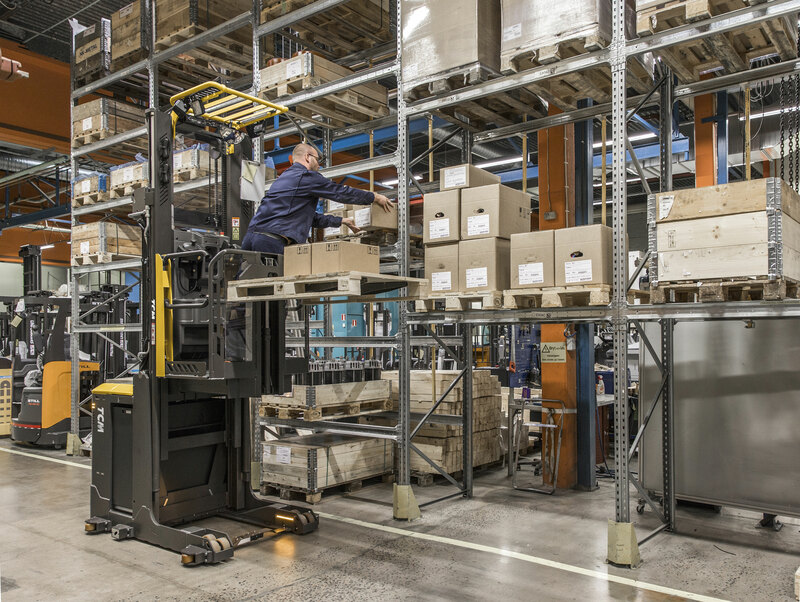 The EO Series also allows operators to pick at previously unattainable heights, ensuring that they can get to the stock location as quickly, closely and safely as possible. There’s also the option to customise the overhead guard with a variety of different attachments to boost the efficiency of the entire operation. The truck itself has also been designed with safety in mind. The great ergonomic design of both the cabin and chassis increases operator alertness and the ability to work in restricted areas in a safe manner, as the truck allows full 360° visibility. 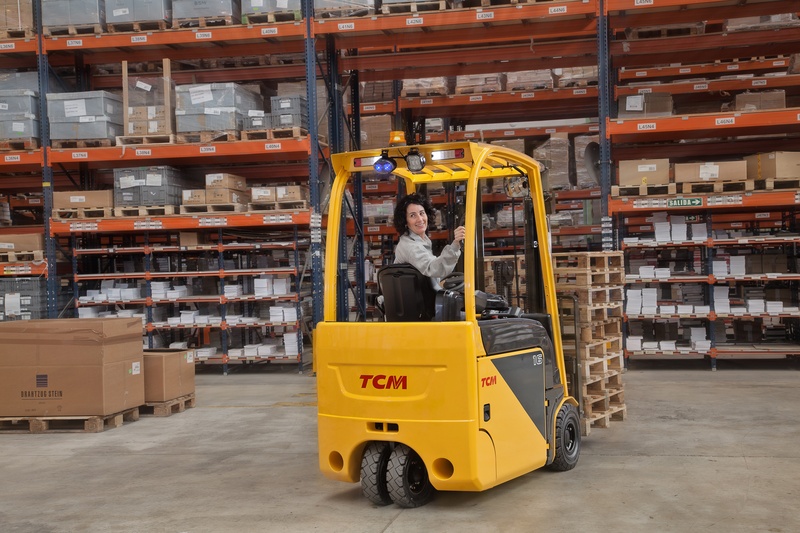 All of these fantastic features put TCM in the running to win the FLTA Award for Ergonomics, and we’re proud to have been recognised for designing a truck that allows the operator to not only work efficiently, but safely. The FLTA Safety Award ‘shines the spotlight on those companies working to make our industry a much safer place.’ This year, we’re pleased to announce that TCM were recognised for producing a truck that includes a variety of features that keep both the operator and other trucks in the vicinity out of harm’s way. The FB Series features the S3 Stability Support System, which has been designed to help the operator reduce risks when operating the truck. This system ensures that drive performance is automatically adjusted when there are changes to lift height, load weight, or the forward tilt angle. Speed is also automatically controlled during operational maneuvers such as turning or driving on a slope. Lift and tilting speed is also reduced according to the lift height and weight of the load, meaning that the operator can focus on scanning the immediate area for any potential hazards, therefore reducing the overall risk of the operation. The FB Series also features full 360° visibility and has been optimised to include features such as the thin rear pillar and the low instruments panel, which improves forkroot visibility. Operators represent a large cost in operations, and when it comes to the efficiency of the truck we invest in the operator. By making them more comfortable, they become more efficient. The FB Series features a unique ergonomic design that is optimised for both operator comfort and productivity. As well as the comfort aspect, the FB Series truck has been designed to improve operator safety. The truck itself has an operating noise of only 63 decibels and features a low step height to improve accessibility and reduce trip and fall hazards. To find out more about how our trucks can improve forklift efficiency in your operation, click the button below. If you’d like to see all the features of the FB Counterbalance truck that have been recognised by the FLTA for examples of excellence in safety, you can view our brochure here.